This summer MET-CERTIFIED has organised four workshops in four countries (The Netherlands (12/05/2017), France (19/06/2017), UK (22/06/2017) and Belgium (13/09/2017)) to create awareness on Standardisation and Certification, specifically on Marine energy. But more importantly the workshops were aiming for feedback from the participants on what all stakeholders need in terms of reducing risks and validating claims. More than 100 participants from all stakeholders identified were present. Not just technology developers. 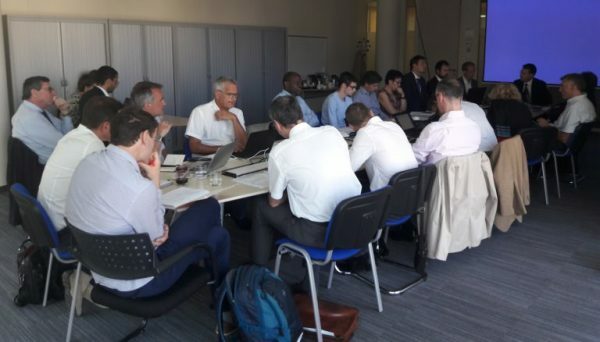 Also project developers, government and other regulators, financers, insurers, certification/classification bureaus, test labs, knowledge institutes, consultants, animal welfare organisations, industry representatives and many more were present and asked for their input. The workshops were introduced by people active in the field of marine energy and actively involved in Standardisation and Certification. They explained the operating of standardisation committee IEC/TC 114 Marine Energy and Conformity Assessment sector IECRE Marine Energy. However most of the time was spent on assessing what the stakeholders needed from standardisation and certification to make their projects a success and get involved. The need for certificates, and not just for technologies, but also for projects and installation. The costs of certification are very high for a start-up technology developer. We need stepped certification suited for the stage we’re in and similar costing. Without some kind of certification/assurance you can’t get your technology installed/financed/insured. Internationally recognised standards help bringing the cost of Finance and Insurance down. We can learn from the Wind Energy sector, but they also made it more difficult to experiment freely, since they are an established industry now, setting the standard for new developing industries like Marine Energy. We need launching customers. But also specific needs for standards were mentioned: wake, arrays, design tools, floating, installation. The input from these workshops will be actively brought to the standardisation and certification committees. The presentation used in the workshops can be downloaded here: MET-CERTIFIED presentation workshops.